Parquet Courts have been busy; their last album, the three-month-young Monastic Living, was a strange, exploratory dive into the depths of feedback and abrasion. While an interesting experiment, and a valuable insight into the band's muted mindset, the almost entirely instrumental project didn't provide much for listeners to grasp onto. Human Performance — recorded at the same time as Monastic Living — represents the other side of the coin. It feels substantial, and marks the band applying themselves in a host of new ways. 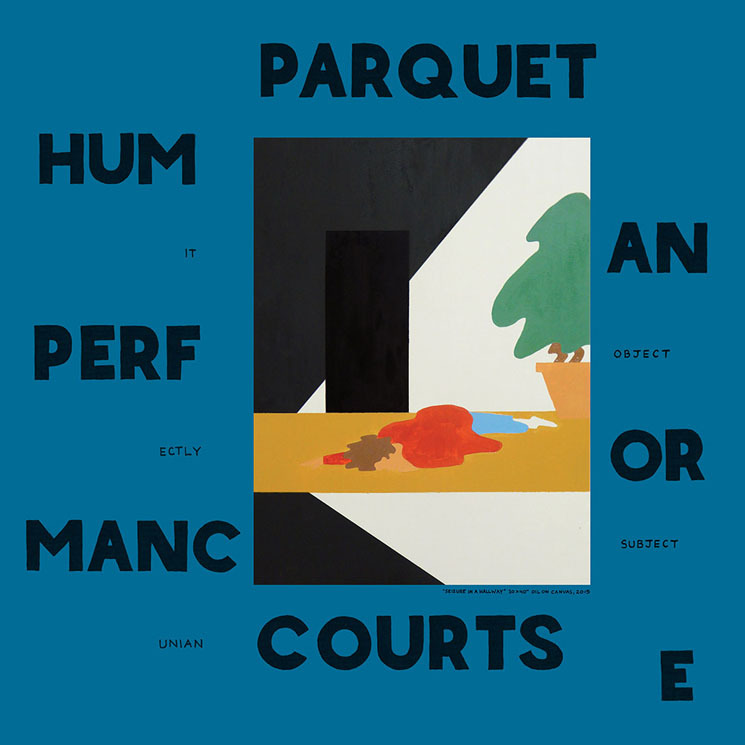 Defying their tenacious punk heritage, Parquet Courts recorded Human Performance over an entire year, and all four band members contributed songs; it shows too, each track feels like they're drawing from a vast pool of emotions and experiences. All of this ambition points to the band's fully realized vision, and in many ways Human Performance feels like the comprehensive Parquet Courts experience. As with all of the band's instalments, there's a dedication to tackling to a variety of abstract subjects and styles. Songs like "Berlin Got Blurry" and "Keep it Even" draw subtle influence from old Westerns, while "No Man No City" at first sounding deceptively kitsch yet builds momentum to become one of the album's most memorable tracks. "I Was Just Here" bizarrely depicts everyday discomforts, while "Steady On My Mind" is an introspective musing on a romantic relationship.